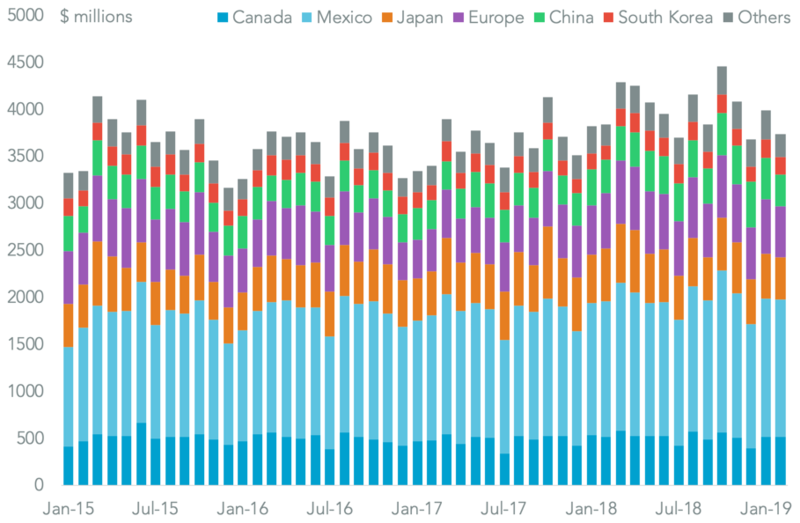 U.S. business sentiment towards trade underwent a marked worsening in March with import expectations reaching their lowest since Jan. 2017. 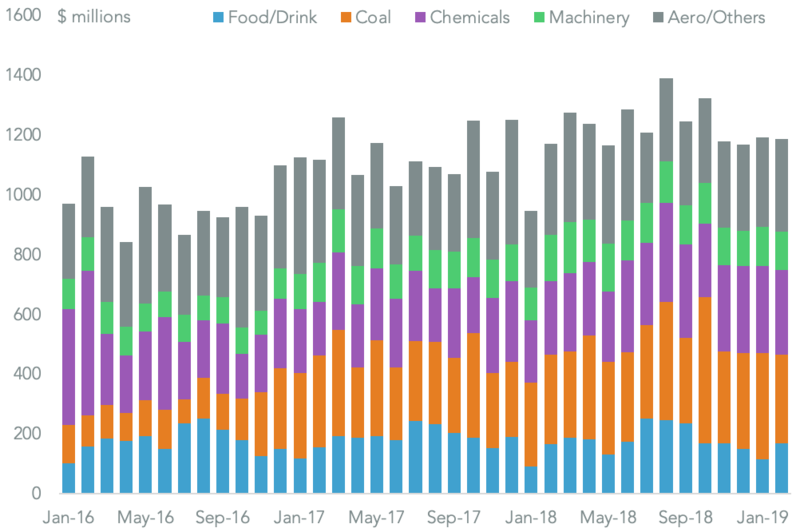 With declining orders for furniture and computer parts that would suggest tariff-related import cuts are continuing. 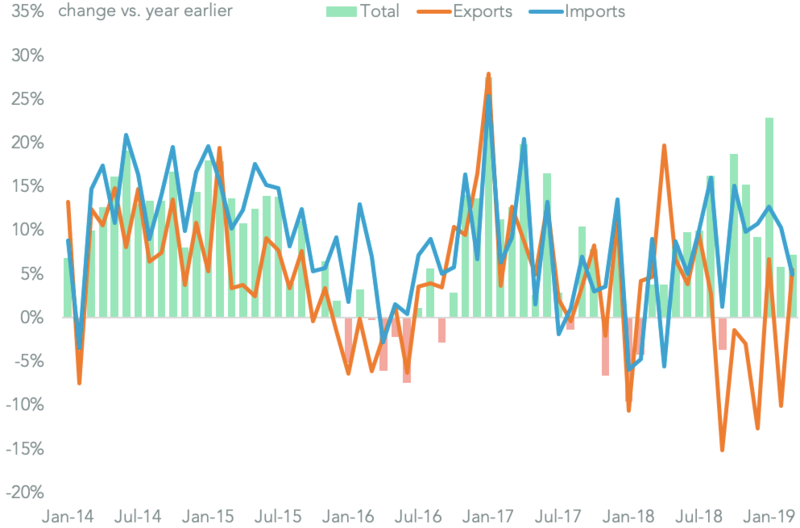 A drop in export sentiment to 51.7 from 52.9 (50 represents a neutral outlook) brought the reading to the lowest since Oct. 2016. 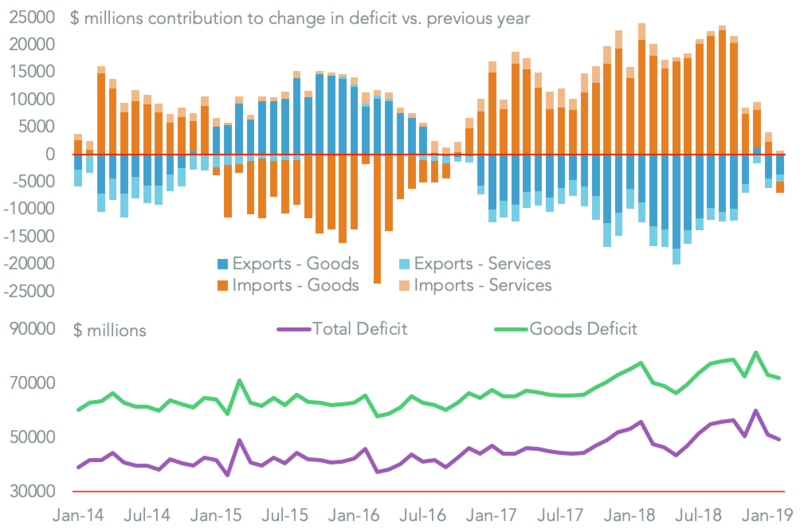 That suggests U.S. businesses are finally succumbing to a global slowdown in trade that has been shown by persistently negative Chinese sentiment and a worsening outlook in Germany ahead of Brexit.